A lot of businesses are turning to email marketing in a bid shore up conversion rates of their online leads. Email marketing, in itself, may not be very effective when done wrong. Luckily, there are a number of tools like GetResponse which you can use email marketing a breeze. In this GetResponse review, we focus on the features, pricing, and benefits of GetResponse. 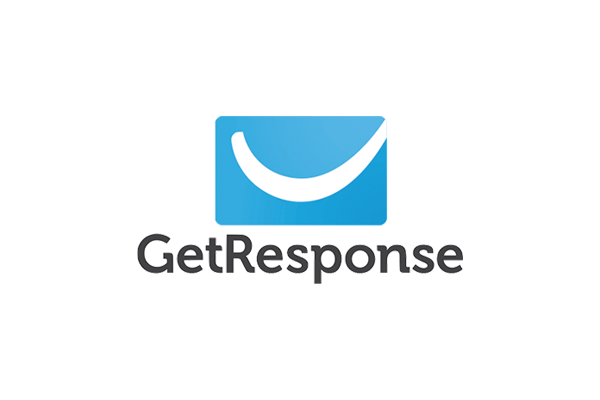 GetResponse is basically an email marketing automation service that makes product promotion easier for business owners. Compared to others on the market, most reviewers say it is the easiest to use. It currently operates in more than 182 countries with over 1 billion subscribers engaged every other month. You can use this tool to import, host, and extract data from a mailing list. Most of its users like it for its ability to create electronic newsletters to send to subscribers on their mailing lists. For business people who have no dedicated marketing staff, GetResponse has the ‘Autoresponders’ feature, which automatically sends emails to subscribers. It is also easier for you to get analyses of statistics such as forwards, click through, and open rate. However, GetResponse is not just an email marketing tool. You can use it to create the best landing pages complete with a simple-to-use A/B testing tool. On this platform, you will be able to test your design and even send video emails. GetResponse also has a basic customer relationship management (CRM) tool. What Are The GetResponse Features And Free Trial? You will get to choose from more than 500 email templates while designing your messages. The Email Creator comes with a WYSIWYG interface which makes your work very easy. Most of the templates work well with the mobile display. You also get to use drag-and-drop design, photo editing, and snippet saving capabilities. Creating a landing page is very easy using a dedicated tool. Apart from over 100 templates to choose from, you will be able to edit elements on the page on the WYSIWYG interface. On GetResponse, you can compare up to five versions of the same Form Field, Email Content, Subject Line, and Sending Time. Set goals, test duration, and segmentation. At the end of the testing period, the system automatically delivers the best message to the rest of your subscribers. Can engage your audience through a webinar if you have the Pro Level subscription. With this feature, you can share video, audio, files, and online polls. Don’t send out your email before running it in Inbox Review. You can view 20 versions of your message as the client will see it on a desktop or mobile. The good thing is that you won’t be asked to pay more. If you have an online audience from across the globe, you can segment your campaigns to allow for the sending of emails to different time zones. You can set it to send emails to each and every one of your subscribers’ email boxes at the same time. On the GetResponse platform, you will get both action-based and time-based autoresponders. You can use these to improve the way you engage with your subscribers. Your Facebook pages and websites need email sign-up forms. Create them easily by choosing from over 150 templates. Here, you will also enjoy a drag-and-drop feature to easily create your forms. Once you have a working form, copy the HTML code and embed it into your website. You have the option of allowing Get Response to host the form for you or install it on your Facebook page. Do you post blogs on your site? You can use this tool to automatically send a blog email to your audience. You can do that daily, weekly, fortnightly or monthly. The good thing is that the feature comes in very simple template design. What Are The Benefits Of GetResponse? Compared to the other tools on the market, GetResponse is very powerful. It provides for the adding of a variety of conditions for the automatic segmentation of your subscriber list. That way, you can send out more targeted messages. Not all email marketing tools have a landing page creation tool. To make your campaigns even more focused, the tool enables you to carry out A/B testing on your landing pages. Most of the GetResponse users have reported how easy-to-use they found this tool. The interface makes navigation through the platform very easy. You don’t need to have done email marketing before. With the drag-and-drop feature, you can add or remove features from your messages. GetResponse has a number of great features that work much better than the tools offered by some of its competitors. Those who have used it love what they saw. With this feature, you have the ability to create automatic segments of your subscribers based on time zones. The emails are sent at the time of day when the user is likely to read them. From some GetResponse reviews, it is clear that the team at the company know how to treat their clients. Most of the users have cited the feature that allows for chat support. A number of the GetResponse users have reported receiving higher deliverability rates with the competitors. It is, therefore, no wonder that they interact with over 1 billion subscribers monthly. Are you thinking of creating an email marketing campaign on GetResponse? It is important that you consider creating several campaigns and not just one. Give your subscribers an opportunity to opt in for case studies, promotions or general newsletters. This is the first step in email marketing segmentation. Use it and you will avoid sending the wrong emails to your entire mailing list contacts. Make sure that users only receive emails that are meant for them. Step 1: Look for the Create Campaign tab and click on it. You will see it on the center or top right of the page. Step 2: Select a name for your campaign and click on the Create New Campaign tab. Step 3: Click on the Edit Campaign Settings tab. You will be given two options to choose from, namely Notifications and Campaign Email Address. By setting up the Campaign Email Address, you give your users the opportunity to sign up by sending you a blank email. Enable Notifications if you want to track each and every new sign up in real time. Step 4: You are done with the email marketing campaign setup. Start enjoying its benefits. With an autoresponder, you don’t have to always engage your customer service department when it comes to responding to all the new sign-ups. You can use it send short response messages such as ‘hi’ or ‘thank you’. If you have many subscribers, it will not be possible to physically get back to them. Try it and you will get very tired. Step 1: Go to Messages then click on Create Autoresponder. Step 2: Select the goals or triggers for your autoresponder. They include Time Base, Send Message, Days, and Autoresponder Name. Step 3: Click on Create New Email and enter details as requested. You will be provided with two email tracking options, namely Google Analytics and Click-Through. Turn on both of them. Step 4: Choose a GetResponse template or build your own then click Use Template. Step 5: Now is the time to build your email template. You may want to save it as a draft or for use in the future. Select and send a test message to yourself, once the email template is complete. You have the option of testing in over 12 displays together with the Mobile Preview. Step 6 This is the last step. Once you click next, you will be asked to publish your autoresponder. What is the GetResponse Pricing? Email With the email plan, you will get unfettered email marketing, autoresponders, as well as a landing page. You will pay between $15 and $450 per month for 1,000 and 100,000 subscribers respectively. Pro Plan With this option, you have access to the landing page tool. You are free to create as many landing pages as you want. You will pay between $49 and $490 per month for 5,000 and 100,000 subscribers per month. Max Plan This plan allows you to list up to 5 users plus a webinar attendee list of up to 500. They give you a dedicated account manager and custom domain. You will pay between $165 and $580 per month for 10,000 and 100,000 subscribers respectively. Compared to other websites in its category, GetResponse is easy to use. They have a number of video tutorials and a chat support system to help you learn the ropes. Subscribe to the Pro Plan and get to use the all-new webinar feature to speak with your audience. If you have questions about their pricing, read their terms and conditions of service for more information.